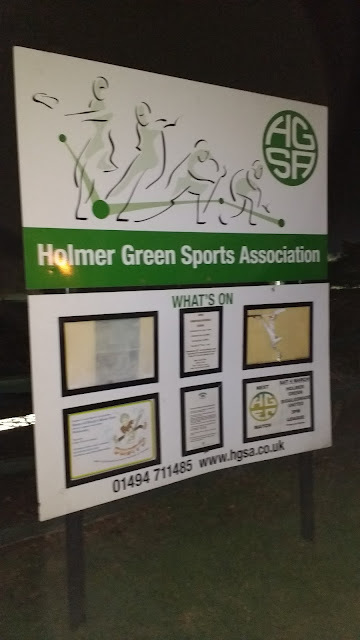 HOLMER GREEN were formed in 1908, spending the vast amount of their early history in local leagues such as the Chesham & District & Wycombe leagues. They were founder members of the new Chiltonian League in 1984 and were highly successful here, winning the championship in their first two seasons and then again in 1994. After finishing runners-up the following season, they applied to join the Spartan League and were accepted in time for the 1995/96 season, joining its second tier. They were champions in their first season but were not allowed to take promotion due to the lack of facilities. A merger meant this league became the Spartan South Midlands League a couple of years later and with the facilities now in place, Holmer Green made the step up to the Premier Division in 1999. They've been there ever since, apart from 2009/10 when they bounced back straight away following relegation. Their best league finish came in 2000/01 when they finished 6th in the Spartan South Midlands Premier, at the time a step 4 league. 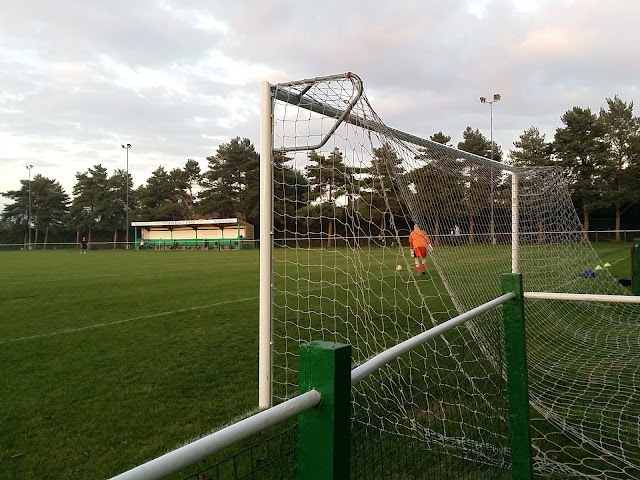 The club's best-ever run in the FA Cup came in 2004/05 when they gave a credible performance in the 1st Qualifying Round, losing 1-0 at Isthmian Premier side Hendon. 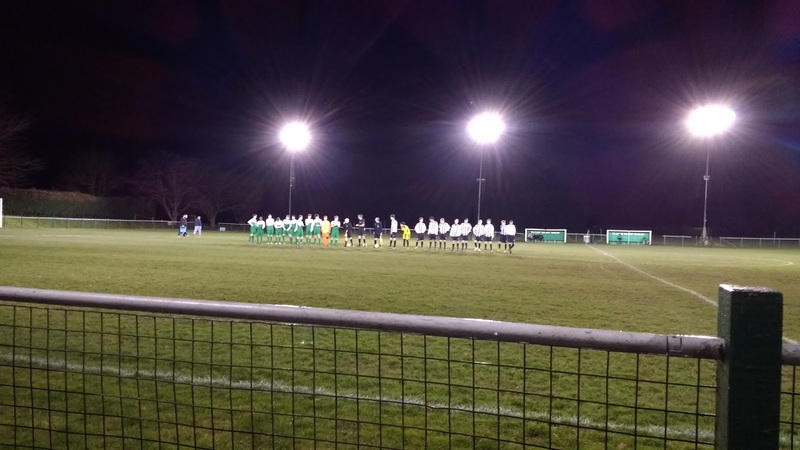 This season saw Holmer Green's best ever FA Vase run when they reached the FA Vase 2nd Round. After beating Cricklewood Wanderers and Highmoor IBIS, they suffered a 3-0 defeat at fellow Spartan South Midlands side London Colney. Locally, they've won a host of trophies including several league cups as well as the Berks & Bucks Intermediate and Berks & Bucks Junior cups. The village of Holmer Green has 4,000 residents, two of which are TV producer Fern Britton and her celebrity chef husband Phil Vickery. My first visit to Watchet Lane came back in April 1993. Wycombe were playing up at Telford United in one of our last games in the Conference and as I wasn't going I decided to go and see my local team. I went up on my bike and took my walkman as I listened to Wycombe go 2-0 down in seven minutes, but come back to win 3-2. 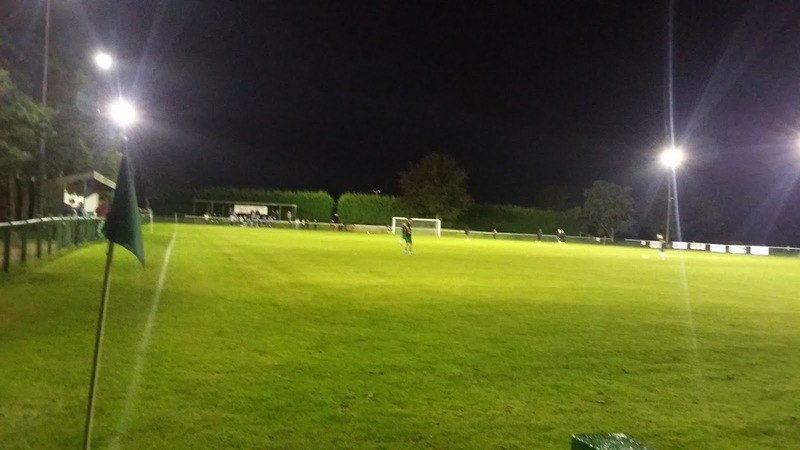 I'm not 100% sure of the result or opponent that day at Holmer Green as there are no records online, but a 3-2 win over Peppard is what I recalled originally. Perhaps I ought to have kept the programme so I could check, all these years later. The mystery was cleared up later on, thanks to the website The Results Archive where I found out that it was actually a 4-0 defeat to Finchampstead that I saw. I updated all my records, although the picture above still reflects my original guess. I made the occasional visit since, the most enjoyable game coming when I tried to see a game in every round of the FA Cup, a feat I managed up until the Quarter Final. 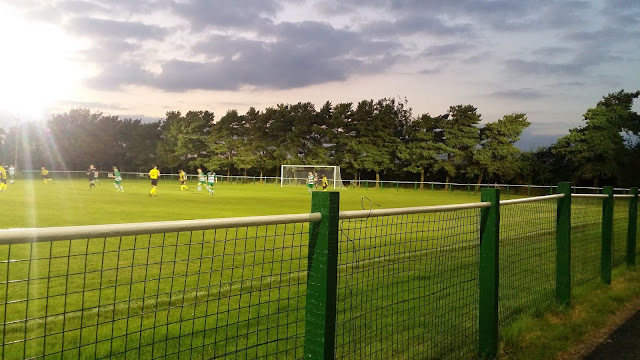 My local team came up trumps in a Preliminary Round replay against Essex side Harwich and Parkeston, with the visitors running out 5-2 winners in a great game. I'd been in the process of visiting various grounds that I'd not been to for a while, just to get my blog up to scratch. A real find had been the Allied Counties Youth League - this provided reduced priced football on odd days, so it meant that I didn't need to 'waste' a Tuesday or a Saturday visiting something really local. I'd 'reticked' North Greenford United last week, and really enjoyed the standard of football. I did consider going last night to Windsor, but I was pretty busy, though there was a tinge of regret as I missed out on a 9-2 thriller. 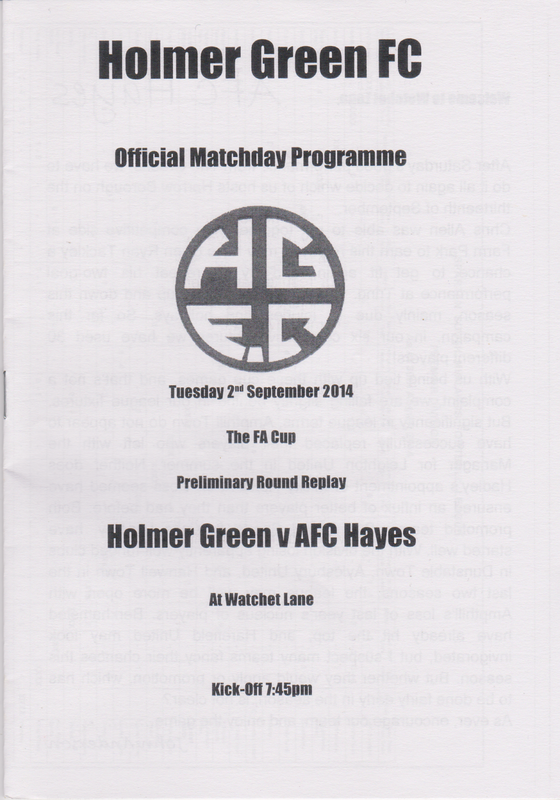 I was keen to get a game in tonight, however, with my local team Holmer Green being at home. With it being walkable from my house, it was a ground that I really should have done a bit more. However, due to them never replying to any correspondence that I sent via email or Twitter, I was not as keen as I should have been, though when I went up there they'd been reasonably friendly. 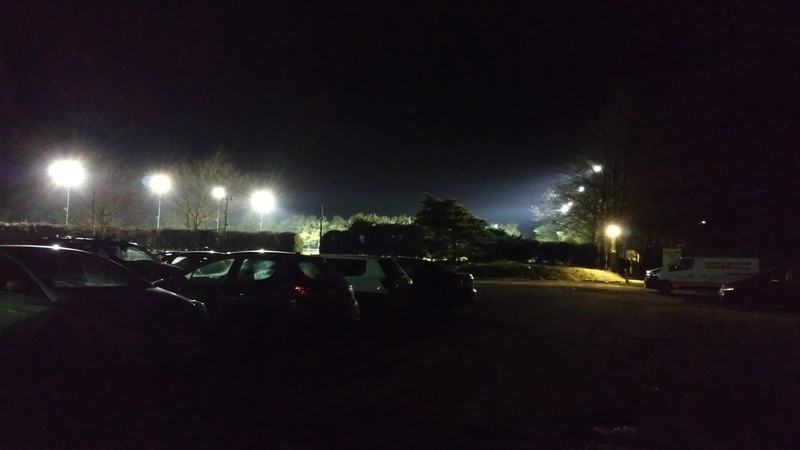 On the day of the game, it was another busy day at work, and I wasn't out until 3.15 after my usual 5 am start. My mood wasn't better when I came home, and my desktop PC wouldn't power on, even after checking all the connections. I ended up connecting my laptop up to my big monitor, and this at least did give a reasonable decent performance and a chance to use a machine that is rarely switched on. I caught up on various bits and pieces, had dinner, and started updating my Holmer Green blog entry, prior to leaving for the game at 7.15. Due to all my computer issues, I'd not had time to do anything to my blog, bat starting tonight's entry, but the game would be a nice distraction and a pleasant mile walk, even if it was still a tad nippy. After a brisk walk, I got to the ground with five minutes until kick off, paying £3 to get in and taking a seat in the stand. 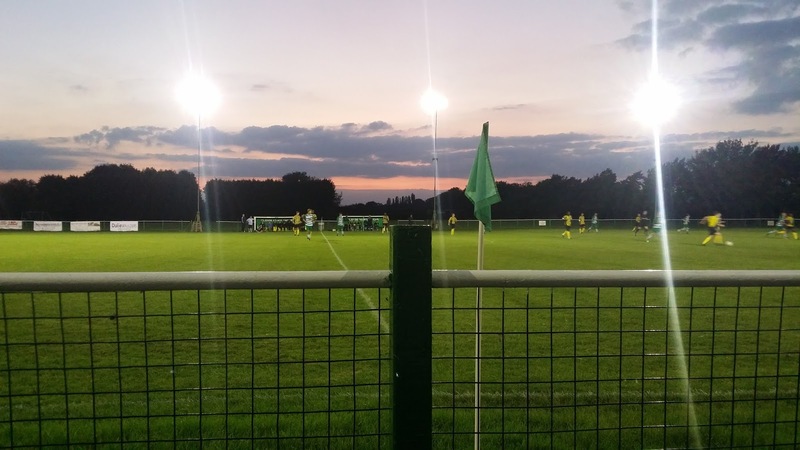 With Holmer Green in second place and Colney Heath bottom, it looked as if it was going to be a fairly simple victory for the hosts. The same could be said for the match in the clubhouse as the pensioners of Holmer Green faced off against their Wendover B counterparts in the local carpet bowls league. I'm unsure of how the latter went, but on the football pitch the home side were well on top and took the lead after seven minutes. Some great set up play allowed the striker to get away from the visiting defence and blast confidently home into the net. On 18 minutes it was 2-0 when a free kick was awarded just outside the area. The ball smashed against the crossbar and went in off the back of the unfortunate Conley Heath keeper's head. The glovesman made several good saves during the night but he couldn't prevent Holmer Green getting their third on 22 minutes as a low shot from the edge of the area went through a crowd of players and into the net. That wasn't for goals for the night, with the second half being notable only for a flurry of booking for both sides. It was a short walk home for me and no doubt the rest of the 29 supporters who attended with me getting home by 10 and going to bed shortly after. 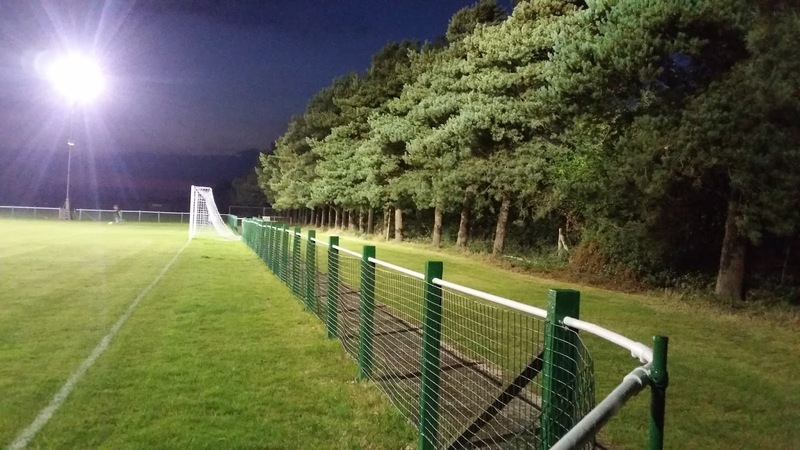 WATCHET LANE or AIREDALE PARK as it is known for sponsorship purposes is a tidy anwell-keptpt venue in pleasant surroundings. When I first visited in 1993, the ground was a railed off pitch. 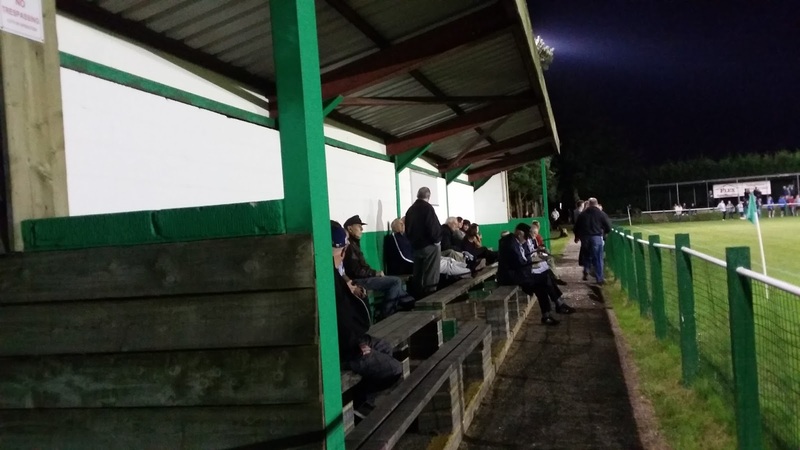 However, when they joined she Spartan South Midlands League the ground grading requirements meant that they needed to build a stand. It's a nice homemade effort with a few rows of benches and a capacity of around 200 at a push. 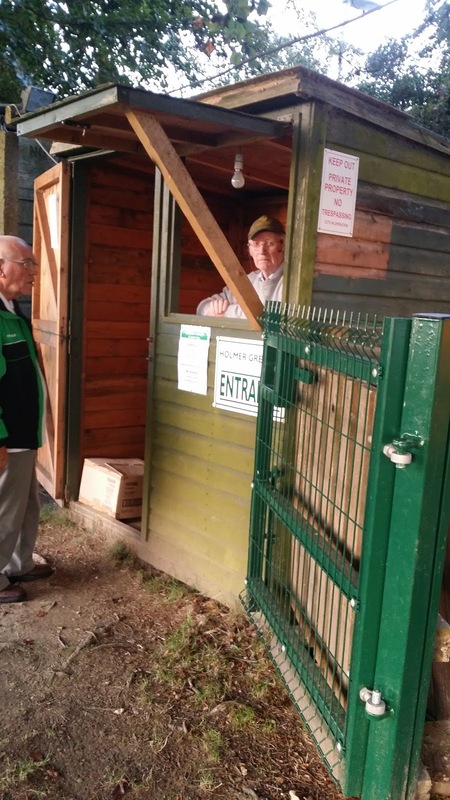 The stand is named in honour of loyal club man Don Want who has served the club for over 50 years, amongst other things he was at one point responsible for some of the best pitches in the area. 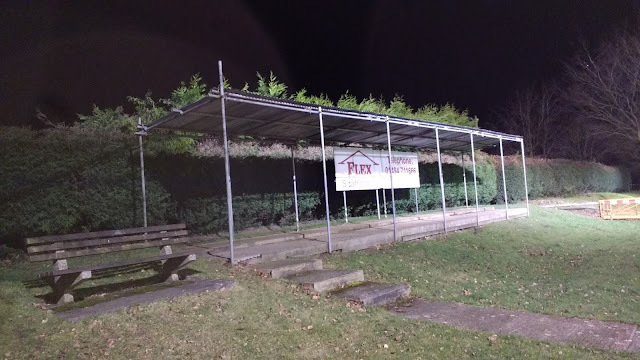 In the past few years a few steps of terracing have been added with a scaffold cover and it's nice to see that the club have used their imagination rather than opting to have boring metal stands like most other clubs. 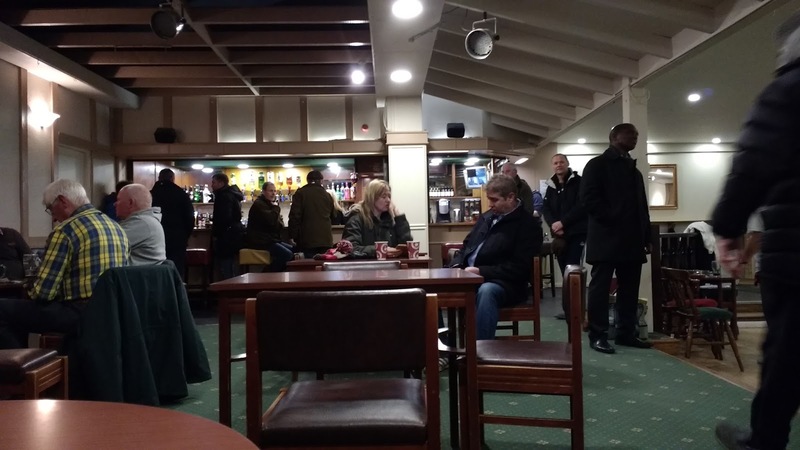 The clubhouse at the ground has real ale from local brewer Rebellion and Stella Cidre for cider drinkers. They also do hot food at the ground, and hit drinks too, though living so close I've never investigated further. Around 10 minutes walk away is a parade of shops and this includes a number of takeaways.South Hill is probably the best chip shop in the area and is well worth a visit, whilst Eastern Flavours is a good Indian Takeaway. There's also Holmer Green kebabs which is your average kebab shop with pizza and chicken too. Near here is the Earl Howe pub, though I've never been in here.